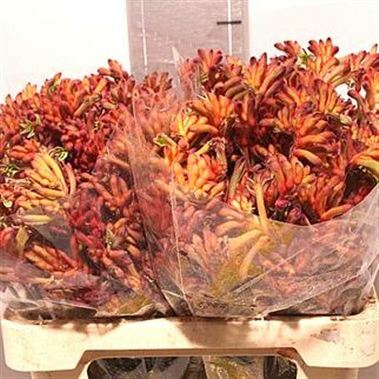 Anigozanthos Bush Tango Orange / Yellow, commonly known as Kangeroo Paw, is a flower native to Australia. This cut flower is something a little different to use when in season too! Approx. 70cm tall & wholesaled in Batches of 50 stems.